BORIC SECURES 2nd in DURHAM NATIONAL! 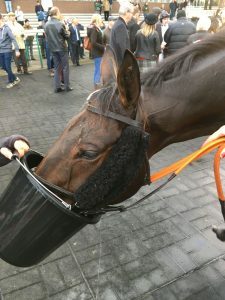 Boric receives a deserving drink and a wash down after his gallant second by a neck in the Class 2 Durham National today at Sedgefield. 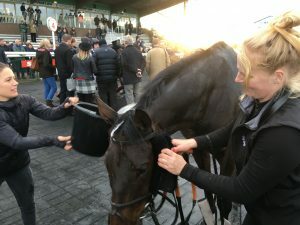 This is by far the most competitive race that Mrs. York's Boric has ever run in and he was gaining on the winning favourite and so another 2 strides and he would have been past. 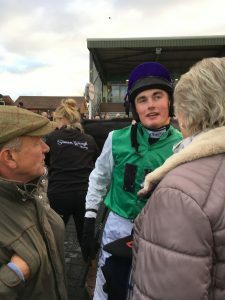 Callum Bewley gave his usual brilliant ride to a horse he loves and got him into a beautiful rhythm, jumping straight and true all the way.